Lasith Malinga is fully fit and will be a key figure in Sri Lanka's Asia Cup campaign, says coach Chandika Hathurusingha. 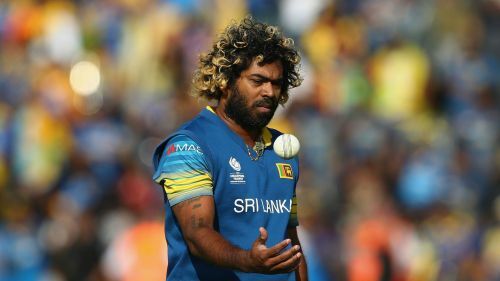 Injury-prone quick Malinga has not represented his country for over a year but has been a regular participant on domestic Twenty20 circuits. The 35-year-old, who has taken 301 one-day international wickets, was recalled despite sitting out Sri Lanka's premier one-day competition this year to finish a mentoring role with IPL side Mumbai Indians. However, Hathurusingha has no doubt Malinga can overcome a lack of 50-over action to help Sri Lanka in their quest to reclaim the Asia Cup title from India. "I believe that Malinga fits into our equation for this tournament," said the head coach. "He is one of the best death bowlers in the world. In the last few matches he has performed well and his fitness is up to mark. "We don't take any team lightly and we have focused on aspects such as the dew and wet wickets which are the swaying challenges I see." Angelo Mathews will captain Sri Lanka in the United Arab Emirates, reprising the role he had in the triumph in 2014. "We will do our very best to bring glory to our country," said Mathews. "We played Pakistan in that  final, but the past is past. It is an altogether new thing going with fond memories." Sri Lanka begin their campaign against Bangladesh in Dubai on September 15 before facing Afghanistan in Abu Dhabi two days later.